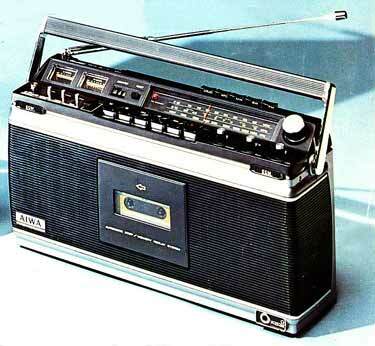 Aiwa claims to have manufactured the very first stereo radio cassette recorder in 1977, the TPR-810. We’re not accepting nor disputing that at this point, but the Marantz system on the previous page was pulled from a 1976 ad. Pictured above is the TPR-801, released in 1978. It’s a sharp-looking machine, with twin meters, 3-band radio and minimalist front. Check out those slim mode switches above the tuner portion.